property with as little as a 10 per cent deposit? The balance won’t be due until construction is complete, maybe a year, or two, or three, down the track. “This gives you time to get the remainder of your finances in order, or save more money to reduce the amount you need to borrow,” says Janine Ashmore, Senior Broker and business manager for Aussie in the Northern Territory. Getting in early can also save you money. Janine says the first properties sold are often the cheapest as developers are under pressure to recoup costs. Off the plan properties in highly-sought after areas can even make you money, with increasing property values and strengthening markets during the construction period. 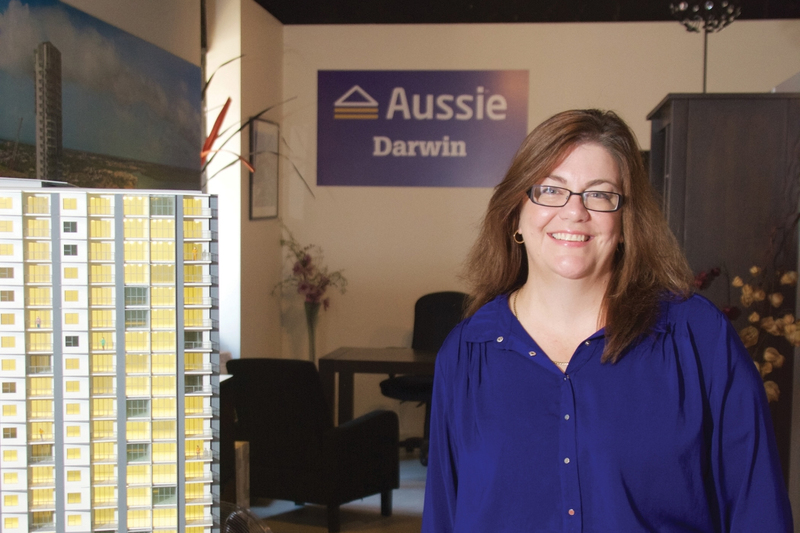 Janine says she and her team at Aussie can help clients select the right finance options for their investment. Janine is one of four Aussie brokers in the Northern Territory, supported by one support staff member and soon to be joined by two more. Collectively, the team shares almost 40 years of lending experience. It’s a career Janine says she was drawn to ‘like a duck to water’. Janine has worked in the home loan industry for 11 years now and in that time has received two Australian Mortgage Awards for her expertise. She says helping people achieve financial security for retirement and assisting young couples to buy their first home are the highlights of her work. Always find out first your capacity to borrow and ability to purchase. When you know you are in a position to do so, usually with a pre-approval in hand, you can look at properties to find out which ones will suit you. Never sign any contracts without having your finance sorted first.